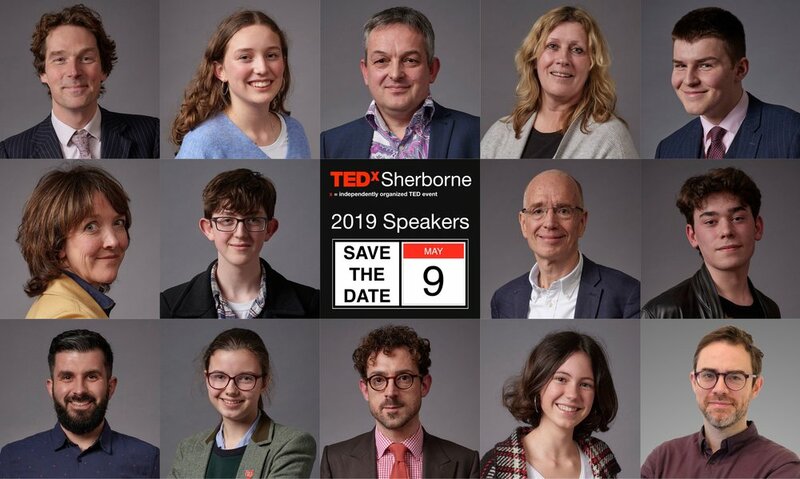 Today’s announcement of the speaker line-up for TEDxSherborne (taking place on 9 May 2019) reflects the extraordinary wealth of talent to be found in the Dorset market town. Each of the 14 selected speakers – from a world-renowned travel writer to a mental health advocate, a Member of Youth Parliament for Dorset to a pioneering social worker – will address a different aspect of what it means to be, ‘Fit for the Future, People and Place,’ (the event’s theme). More than 100 people responded to TEDxSherborne’s Call for Speakers in November, and the commitment and strong ideas on display during the audition process made selecting the final 14 a challenging task. The struggle was worth it, however, as the resulting programme of talks is both fascinating and diverse; from a coming mental health crisis to valuing the marginalised, reading as a radical act to a communal approach to education, young people’s disengagement with politics to the art of growing old. TEDxSherborne is part of the global TED community that believes in the power of ideas to change attitudes, lives, communities and, ultimately, the world. The independent event is being organised by local volunteers, working closely with the town’s schools and organisations and with the generous pro bono help of local professionals. On 9 May 2019, Sherborne will play host to its inaugural TEDx - a one day celebration of ideas from its community that tackle social and environmental challenges that are crucial to its future. The day will feature a series of 14 short talks of up to 18 minutes each, that will be delivered in front of both a live audience and a larger online webcast audience. TEDxSherborne will take place in the brand new Arts Centre at Sherborne Girls school. All of the talks will be filmed on the day, edited and uploaded to the global TEDx Talks platform, the world’s leading online source of ‘ideas worth spreading’, with over one billion views per year. Benjamin is a cultural historian (and teacher of history at Sherborne School) who writes and lectures about the history of dress and convenes courses for the Victoria & Albert Museum. Benjamin will be talking about Alan Turing, and, more broadly, on the value of those on the margin. Andrew is a Dorset native whose career lay in manufacturing until a recent life-changing experience of coping with family crisis led him to sell his companies and become a mental health advocate. Andrew’s talk will address the coming mental health crisis, and also suggest a possible new approach to dealing with it. Susan is a bibliotherapist who prescribes books for life’s afflictions, and co-authored The Novel Cure. The author of The Voices, and Sunset Over Chocolate Mountains, she now runs creative writing workshops from her home in Somerset. Susan’s talk will suggest that mindful reading can, of itself, be a radical act. Tom is an author and journalist who writes on poetry, education, celebrity and ageing for publications including The Daily Telegraph. An English teacher at Sherborne School, Tom also teaches a Latin class at The Gryphon. Tom’s talk will draw on the wisdom of the ancients to suggest a healthier approach to getting old. Laurence is currently studying for his GCSEs at Sturminster Newton High School. Laurence was a Member of Youth Parliament for Dorset from Feb ’18 to Feb ’19. Laurence will be exploring the issue of political engagement among the young in his talk. Chloe is studying for her International Baccalaureate at Sherborne Girls, having previously studied at the British International School in New York. Chloe’s talk will address the importance of conservation, and how each of us can do our bit in protecting biodiversity. Kierhan is a 32-year-old personal trainer with Evolve Fitness Training. His career has taken him all over the UK and he has also worked in the US, coaching in states including New York and Massachusetts. In a talk focused on what it means to be a man in today’s world, Kierhan will draw on his own experiences and those of his friends and peers. Jocasta will be discussing the plastics problem, and what we can do about it. Rory, who was born in Canada and now lives in Yetminster, is one of Britain's most expressive and adventurous travel writers. His books, which have been translated into a dozen languages, include UK top tens Stalin's Nose and Under the Dragon. Drawing on his experiences as a diarist, travel writer and world citizen, Rory will be talking about the importance of the stories we tell ourselves. Josh joined The Gryphon Sixth Form in September after moving to Dorset from Warwickshire. A keen public speaker, Josh has participated in debating tournaments at Warwick University and the Oxford Student Union. Josh’s talk will ask whether democracy works, and discuss how our political system might evolve to meet our needs better. Adam attended Sherborne School in the 90s, and later worked at the International College. A life-changing bike ride across the USA prompted his entry into journalism, and, later, into social change communications. He now lives and works in Amsterdam. Adam will be advocating for cycling as a catalyst for community transformation. Stella is a year 10 pupil at Leweston. Fourteen-year-old Stella has traveled extensively with her family, which has given her a love of meeting people, a broad view of the world and a passion for informing and inspiring others. Stella’s talk will suggest that the community has a vital role to play in education, relieving overstretched schools of the PSHE element of the syllabus. Julie is the daughter of a Dorset farmer. After qualifying as a social worker, Julie worked with families and young people for 30 years before setting up Future Roots, a care farm for young people facing serious challenges, eleven years ago. Julie will explore the issue of youth disaffection and crime through the prism of her experience of working with one troubled local teen. Will, who grew up in Hong Kong, is a boarder at Sherborne School. When he’s not busy studying for his ‘A’ levels, 18-year-old Will spends much of his time playing sport. Will’s deeply personal talk will address the pressures that social media places on today’s youth. Follow the blog feed for real-time updates and event developments. TEDxSherborne also has a full suite of social media feeds and can be followed on Instagram, Facebook, Twitter and Flickr at @TEDxSherborne. If using any of these images, please credit TEDxSherborne and Joss Barratt Photography.